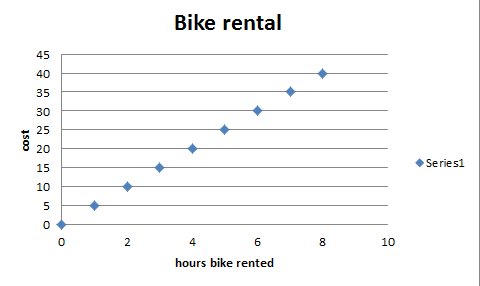 The graphs below are showing the hour and the cost of the bike rental. It is proportional becasue they are skip counting and the graph goes straight up. The graph is skip counting by 5's. You can multiply each one by 5 and get the answer or the cost for each hour.